In ‘No Direction Home’, Martin Scorsese’s Bob Dylan bio-documentary, a twinkling-eyed Bob recounts how he stole essential folk and blues records from a friend. “Just being a musical expeditionary,” is how Bob put it. Clearly, the records had an influence on the young magpie-eyed Zimmerman, and you could argue that they helped shape his first few forays into songwriting. 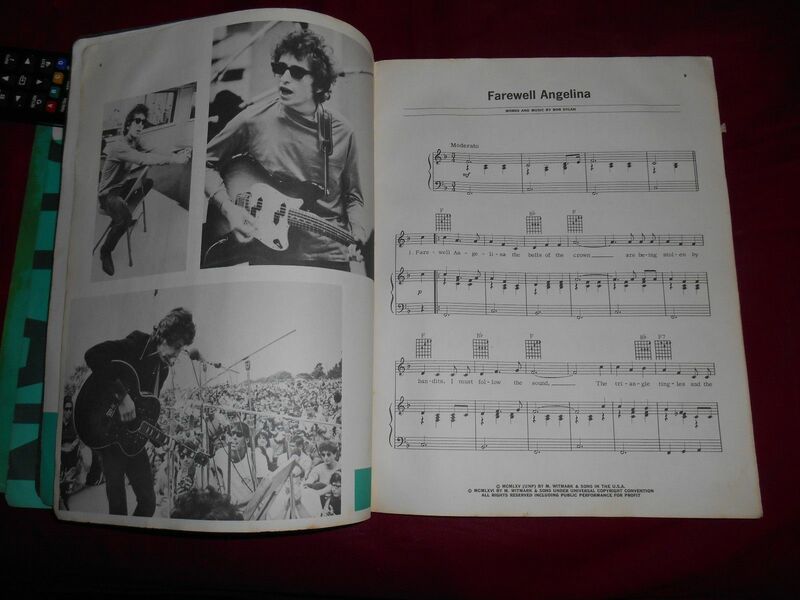 You could even argue that it was a good thing he liberated the vinyl – he might never have written the melody to a song like ‘Girl From the North Country’ or ‘With God On Our Side‘ without them. Someone else’s loss is everyone else’s gain. Think about that for a minute. I’ve been living for the past few days with the latest, stupendous collection in the Bob Dylan Bootleg Series. Volume 12 (entitled ‘The Cutting Edge’ – which is exactly what it is) comes in a multitude of wallet-busting formats. Keeping in line with my purchases of the previous 11 collections, I went for the sensible 2CD version. It’ll fit snugly on the shelf next to the rest of them, a glorious potted treasure of some of the very best bits of Bob’s previously unheard work. When this edition was first announced, there was a collective frothing of the mouth from Bobcats the world over. 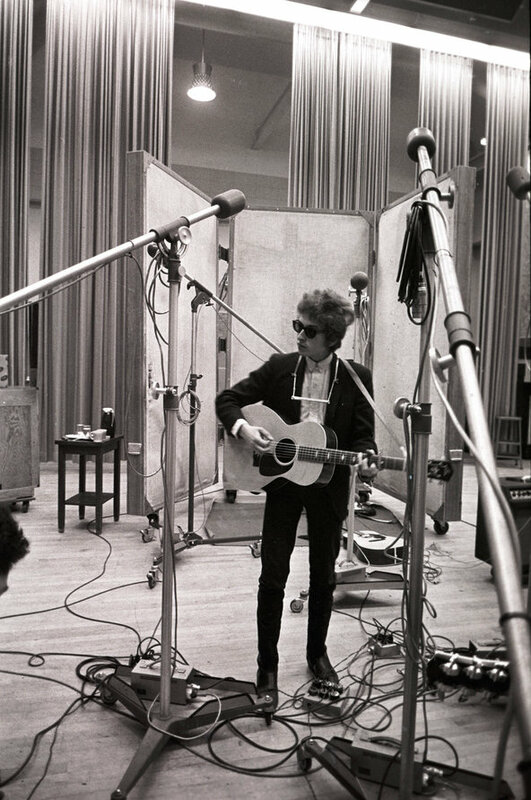 At the very top of the scale was the Deluxe 18 CD version, containing every note, every mis-placed harmonica parp, every cough, splutter and stumbling intro that Bob and his band had committed to tape in the whole of 1965 and 1966. A whole two years-worth of Bob outtakes from his most golden period – the alchemist at work, the ‘thin, wild, mercury sound’ in creation. A Dylanologists dream. And nightmare. Have you seen the price tag? And now that those 18 CDs have indeed made themselves very comfortable in a dark Dylan-shaped corner of the world wide web, steal them we did. Someone else’s loss is everyone else’s gain, and all that jazz. What is there to say about the recordings? That they’re fantastic almost goes without saying. 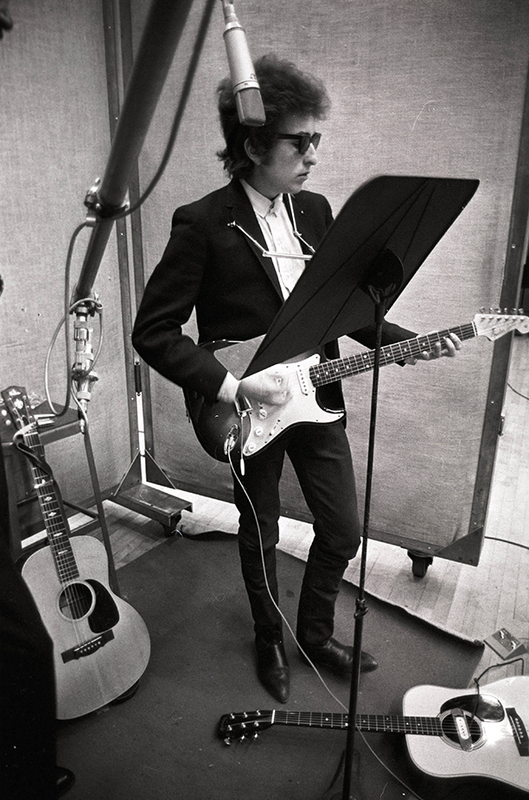 It’s a wonderful glimpse into Bob’s psyche, into his working process in the recording studio. 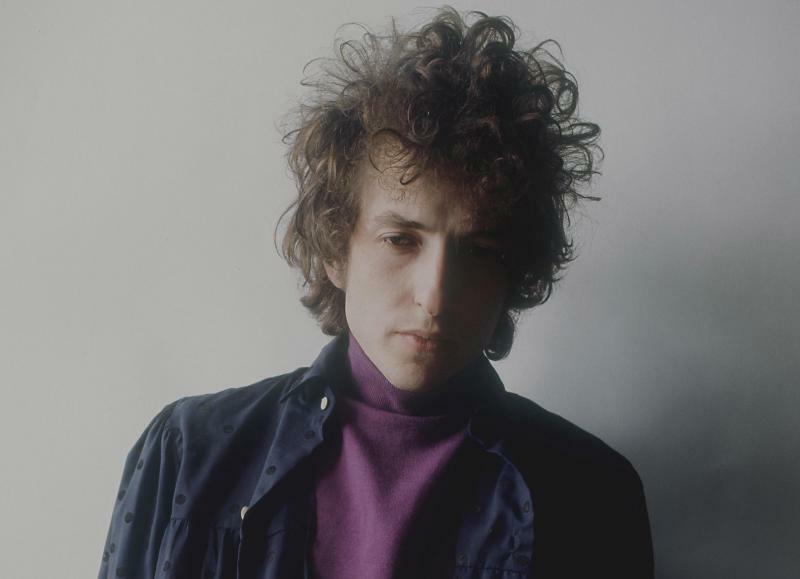 The collection quickly debunks the myth that Bob was a spontaneous worker, that he pulled the songs from the air, assembled his band and recorded them in the time it took to batter through them. There are multiple versions of every track. Some replayed as frantically scrubbed skifflish Bo Diddley rockers, some as barrel house blues worthy of a scene in Boardwalk Empire. Many sound like the versions you know and love, half-baked and not quite right but essentially the blueprints for the finished versions. The sequencing of each track takes you on a journey from first sketch to final run through, a trip that’s often wild and wandering, but never less than thrilling. Stinging electric guitars vie for your attention with honey-coated keys and rasping brass, though central to the mix is always Bob’s voice; close-miked in the acoustic ones, bawling like a garage band rocker in the fast ones, all the time (to quote David Bowie) that perfect mix of sand and glue. Anyone who says that Dylan can’t sing is a moron, right? Now and again a favourite track will pop up disguised as a New Orleans funeral dirge or a full-blown electric rocker. It can be good fun playing ‘name that tune‘ or spotting a lyric from one song that finds itself embedded in a different song by the end of the session. And Bob has a wicked way with a title. Whether or not he has the ‘real’ titles in his head or not, he plays merry havoc with the engineer. And what follows are umpteen takes of Obviously Five Believers. Obviously. Dylan’s wild phrasing is all encompassing throughout. He runs through Stuck Inside Of Mobile With The Memphis Blues Again a gazillion times, each time the melody stretching and bending just a little bit further than the previous time, but clinging gamefully to the tune the way a rowing boat might struggle to keep course on a choppy sea. He can make whole verses fit into two lines, and he can make a couple of lines stretch to a whole verse with his eee-long-gay-ted approach. S’beautiful! The studio chatter is what you pays yer money for. You can be a fly on the wall in New York or Nashville as Bob painstakingly arranges and rearranges lyrics, verses, whole tunes. His band, while handsomely paid, remain extremely patient. During a handful of takes of Tombstone Blues, Bob continually chokes over the same line. And off they go once more, the beat group backing their Messiah jester until he gets what he hears in his head out his mouth and onto tape. It’s all ridiculously essential music. But you knew that already. Here’s a rollickin’ fuzz bass-enhanced run through of Subterranean Homesick Blues, never before available until now. Tagged blonde on blonde, Bob Dylan, bootleg series 12, bringing it all back home, cutting edge, highway 61 revisited, judas! Brilliant stuff as usual, Craig. What a man. Is there supposed to be a link to Subterranean HB at the end? I couldn’t find it. Anyway, the mag. The next issue is due out in early December, going to the printer at the end of November. I am in complete awe of your Johnny Freckin Marr piece.Could you tweak that a wee bit just to make it slightly different for me? I know.Nobody wants to mutilate their baby, just a teeny weeny tweak would be fine. And what else? Do you have anything else to punt my way? I’ve got a piece on Losing Ground going in, but if there’s anything / band that you’d like to give a punt to please be my guest. Reblogged this on Carl Mosk's Economics Site. The true test of a Dylanista is to transcribe all the words to If I Was A King on Disc 18 of Cutting Edge.